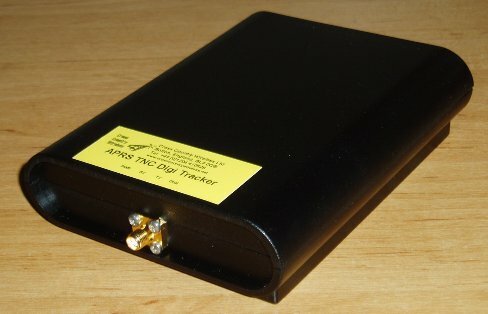 The APRS TNC Digi Tracker isn’t just a mobile APRS tracker. Connect to the USB port of a laptop, flick a switch and it also runs as a TNC with UI-View displaying local stations on the screen. Flick another switch and it’s a digipeater as well. Easy to program with freeware APRS Messenger Lite program that also doubles as a receive only igate program. Use with freeware APRS Messenger program and it’s an emergency communications message control station or satellite ground station for International Space Station packet radio. Now available with a built-in Sirf Star III GPS receiver with internal patch antenna and a SMA connector for use with an external GPS antenna. Just the job for RAYNET or ARES emergency communications or just everyday APRS tracking! Works with Winpack for converse packet radio. For further information the Operating Manual can be downloaded as a 3.1 MB PDF file here. A zip file containing the UI-View configuration file and text document explaining how to set-up UI-View to work with the TNC can be downloaded here. APRS Messenger Lite(a freeware set-up program and APRS receiver igate program for the APRS TNC Digi Tracker can be downloaded here. This entry was posted in ham, new equipment and tagged APRS, ham, ham radio, new equipment. Bookmark the permalink.